Continuing our unscheduled, impromptu LittleBigPlanet weekend, I have new screens of my newest level. I know what you're thinking, "but SP, you just finished a level a little while ago!" This one didn't take as long since I had some good ideas in line. It takes place in, you guessed it, a forest area. Stay tuned to SPC for a video demonstration of my newest level in action. For now, click on a picture to enlarge it. 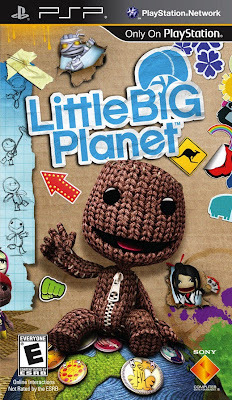 In 2008, LittleBigPlanet for the Playstation 3 was announced as SPC's Game of the Year. It eventually went on to receive a Game of the Year edition. Hmm. How coincidental, wouldn't you say? Is its little little brother, LittleBigPlanet (for PSP) on its way to win a handheld game of the year for 2009? Last year, Playstation 3 owners received a game that was as creatively thought up as the amount of creativity generated from the large and robust community. In short, there was a lot of creativity going on. Several Playstation 3 titles have already been effectively translated to the smaller-scale PSP such as Resistance and Motorstorm. Can Sony go three-for-three with their PS3 to PSP conversions, or is this version of LittleBigPlanet creatively bankrupt? 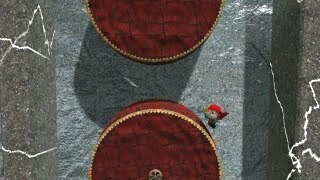 Although this game shares its name with its little big brother, the PSP version of LittleBigPlanet is an all-new platforming adventure-- not a port of the original. 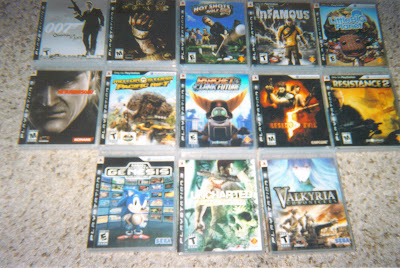 There's dozens of new levels to explore, new costumes, and online servers dedicated to original PSP content. A difference or two between this version and the PS3 installment is that: 1) there are now only two planes to cross between as opposed to three, and 2) there is no multi-player mode to speak of this time around which is a bummer. It makes all the faces, expressions, and movements with your Sackboy or Sackgirl, the characters of LittleBigPlanet, feel useless since you can't share them with others. It also makes dressing up your avatar only for your personal use. Each creator's world is themed. The story mode follows you through seven themed worlds each with three or four levels as well as several bonus arcade-style challenge levels where the goal is to survive as long as possible or get to the end as quick as possible. The story mode is there not only to make up the meat of the game for those not creatively adept enough to make their own levels, but it's also there to give players much needed inspiration and new ideas. 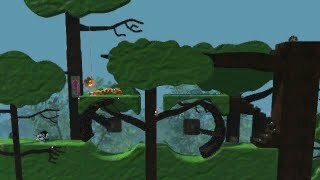 The typical goal of a LittleBigPlanet level is to run, jump, climb, and grab your way from the beginning of a level to the end. This is all the while avoiding hazards and obstacles that will kill your Sackperson in one hit. Thankfully, a good level will have an abundance of helpful checkpoints, so deaths won't be half as frustrating as they otherwise would be. 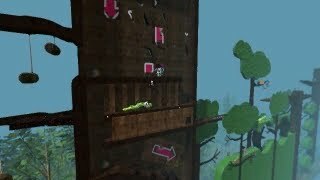 You'll be pulling blocks to set atop switches, dealing with various doodads and mechanical wonders, riding various vehicles such as hot air balloons, race cars, and roller coaster cars, solving clever little puzzles, and defeating enemies which are essentially made up of pieces, bits and bobs, and a weak point to jump and kill. The story mode level design is top-notch and always full of surprises. 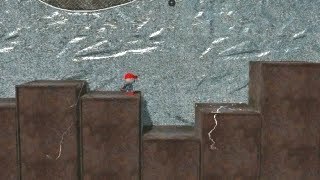 I've gotten numerous ideas for my own levels (PSP and PS3) to incorporate from these levels. The game's much more difficult to play through than the Playstation 3 effort with much more challenge presented to the player earlier on and much more devilish death traps to watch out for and avoid. With only having two planes to move across, it's interesting how the level design was improved to accommodate the loss of a plane. Still, trying to switch between the two planes is still a problem sometimes. There's even chaotic boss battles thrown in. 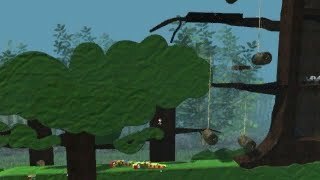 Again, the cool thing about the story mode of LittleBigPlanet is that anything that is made, any level or device, can be recreated in the level designer. Sure, it takes a lot of time to produce a quality level, so casual players may just find themselves going through the levels and be done with the game. However, you can place your levels and creations onto the Sony server as can others. This means that you don't have to possess a creative bone in your body, and still enjoy the works of others more creative than you are. Oh, that's a horrible and mean of putting it. I must not be creative enough. 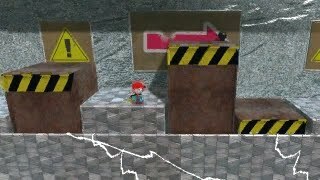 Regardless, creating a level takes time and patience-- seeing if every mechanism made works or malfunctions, seeing if switches do their appropriate functions, and just checking to see if the level is fun most importantly. You can customize and adjust nearly everything from the background to the music to the lighting to changing textures and hazards from electrified blocks to fiery (two close touches in a row and you're dead) blocks. There's a lot to see and do with themed blocks, the ability to create giant, highly detailed and complex creatures, and make your levels as easy or as hard as you like. 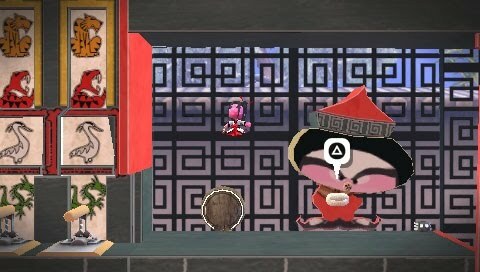 You don't even have to make a level to taste the fun of the LittleBigPlanet creator. As of now, the levels available are pretty ho-hum for the most part, but here's hoping the community expands in both number and talent. The goal here is to dodge those electrified blades. 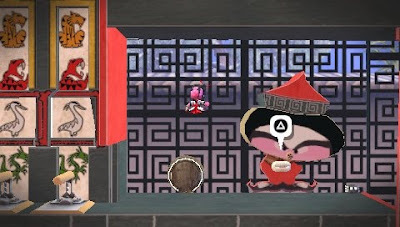 Playing through story mode is a must for prospective creators as there's various objects and designs to collect that are hidden and not-so-hidden in the various levels of the game. Completionists will have plenty to do and be excited for as there's medals awarded for completing a given level, getting all the items in a level, and surviving without losing a life in a level. Doing this will unlock even more goodies for your Sackperson and levels. 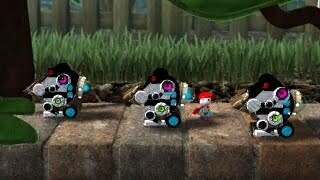 The Sackcostumes are less important this time around as no one will be able to see them due to the lack of multi-player. Plus there's no ability to take pictures and save them to your SD card. Despite this, there's still plenty of solo work to do in LittleBigPlanet. The jetpack makes its wonderful return. 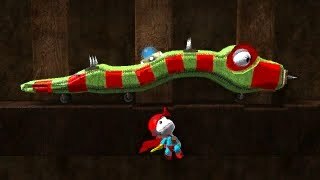 Your Sackperson controls a tad less floaty as he or she did in the previous LittleBigPlanet. You're more in control. Grabbing is performed by holding the R button and moving around is controlled with the analog nub. Unfortunately, the d-pad is unavailable to control your Sackperson save for creating expressions and doing various poses. Again, worthless since you can't play with others. It would have been nice to control the game allow you to choose to use the analog nub or d-pad. Alas, we can always dream. Another problem with having costumes is that most of the time, the camera is too far zoomed out to be able to see your actual wardrobe being worn. It's only until you reach the end of level scoreboard where the camera zooms in to see all your glorious duds. 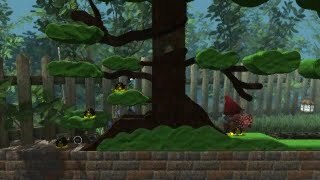 Visually, LittleBigPlanet PSP looks very good, and it runs without much in the way of framerate hiccups. The presentation is wonderful with British actor Stephen Fry narrating the many, many (but helpful) tutorials the game has to offer. The music selection is also quite good with many original and licensed tracks to listen to and enjoy. Here's hoping some of these features make it back to the PS3 version. "Why don't you come over and see me sometime?" 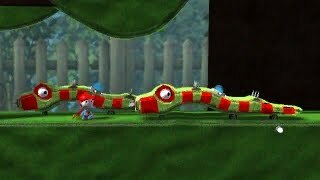 LittleBigPlanet for PSP may not be as original as its little big brother, but it does feature the same addicting gameplay and building tools as long with new, interesting tools. The new levels are a blast to play and very much more challenging than the PS3 installment, and the community is still up and coming, growing, and creating. 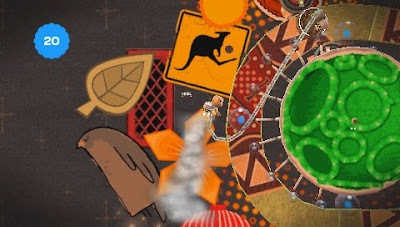 Even as a single-player only title, LittleBigPlanet shines with its tremendous amount of things to do and accomplish. For forty dollars, you can do a lot worse than this new edition of LittleBigPlanet. It's a fun game for all that you'll definitely want to sack it to you. 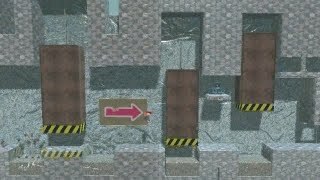 As promised but I didn't think so soon, here's a video of someone playing through my level, 1-3 Power Plant. 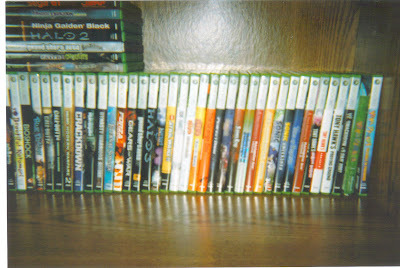 Notice the difficulty the player has on that one platform. It helped me decide to put another checkpoint at those three smaller rising platforms forming stairs. Another problem I noticed was the text at the end was out of order. I have corrected that, too. Regardless, I hope you enjoy watching this new level. Happy Thanksgiving to those folks who are celebrating it. We've had two reviews in a row these past two days, so let's try something different and special for today. Mini-games have drawn a lot of fire this current generation. Most likely as more and more games are solely comprised of entirely them and nothing else. Regardless, there have been plenty of fun mini-games that have come out in recent years and even further back than that. The following list showcases some of my favorites from generations past and present. Are you ready for some blitzball? 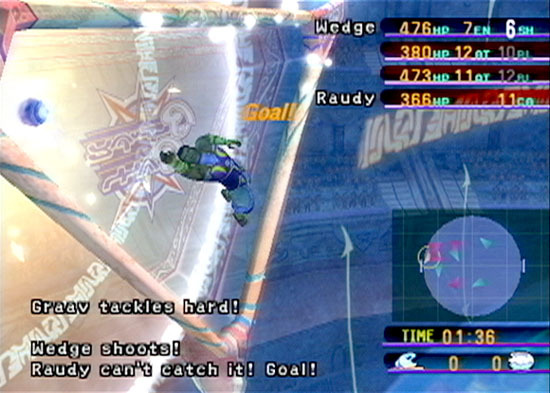 Once you've been given the go ahead, you can play a round or two or three or one-hundred of blitzball from any save point in the game. The rules of blitzball are just like soccer except you use your hands and the entire game is played in an underwater sphere. Not too different, yes? Certainly Beckham could adapt. If Beckham was too chicken to play, you could assign new members to your team in hopes of dominating the rest of the field. Not only was blitzball a way to pass the time, but it was also the only way to get various rare items including one of the character's ultimate weapons. For a wet and wild mini-game, blitzball may be just for you. We go from one Final Fantasy to another with one of my favorite mini-games period. It's triple triad. What's triple triad, you ask? It's a card game played on a 3x3 board. 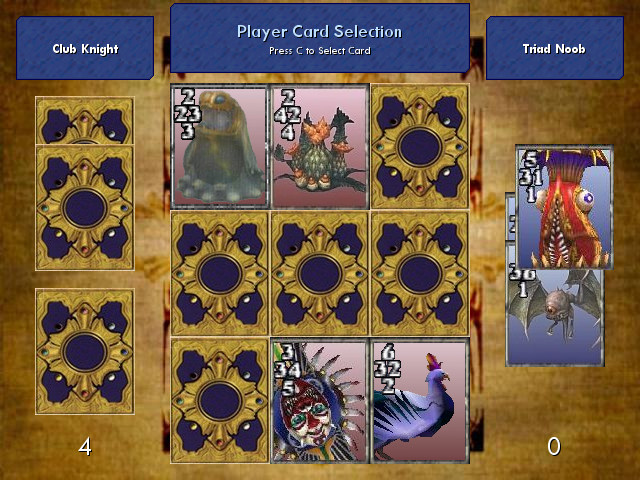 Each player gets five cards, either randomly assigned or hand-selected by the player. Each card has four numbers or letters. 1 is the weakest, S is the strongest. Cards are then placed on the board. If two or more cards are placed next to one another, a battle happens. The card with the highest amount wins, taking over that player's card as its own. The game goes on until all nine spaces are filled. There's additional rules such as elements and things like that, but these are the bare bones basics. The game is so popular that there are internet forums dedicated to playing the game electronically. 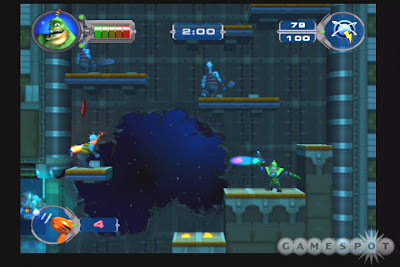 By far the coolest mini-game in Ratchet series history is this side-scrolling platformer/shooter. 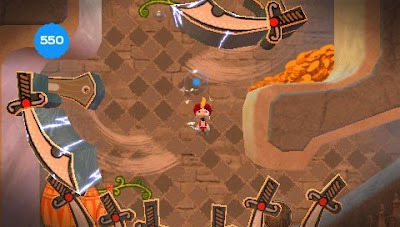 There are eventually five levels available for play. You control Captain Qwark as he runs, jump, shoots, and dodges in the game. Each chapter tells the story of Qwark's mission to stop the evil Dr. Nefarious. Not only can you normally play through the levels, but speed runs and collecting 100 Qwark tokens in a given level awards you with titanium bolts, the rarest of all rare collectibles in the Ratchet and Clank series. This game is so good that I would purchase a longer version on PSN. It's that good. Imagine if you will, an island with deep blue water surrounding it. Now imagine four multi-colored balls about the size of a person resting serenely atop the island. Sounds pleasant if not odd, no? Now imagine one person riding each ball in attempt to knock the other three off the island into shark-infested water which will rip their intestines and hearts out, organ by organ. Yes, it's Bumper Balls from the Mario Party franchise. The second installment of the mini-game brought with it different themed islands such as slippery ice and hot fire! While not as violent as I made it out to be, Bumper Balls to this day is one of my favorite Mario Party mini-games. Let's continue with this ball theme, shall we? Two of the 120 stars in Super Mario Galaxy required you to control Mario atop a ball by tilting the Wii remote like a joystick ever so gracefully. This is all the while as he leaps over chasms, dodges obstacles such as goombas, and inches closer and closer to his coveted power star. The controls were great, and tilting the Wii remote to move the ball was a fun, fantastic, and fascinating experience. 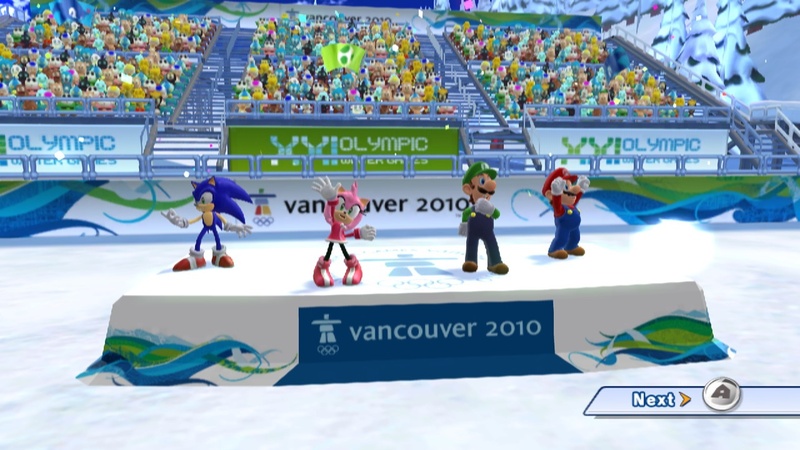 There's plenty of great games in Mario and Sonic's latest Olympic offering. The Dream events are by far my favorites. These are events that take realistic sports and term them into fantasies set in Mario's and Sonic's worlds. Dream Ski Jump propels you off a ramp with the idea of collecting as many point balloons as possible as you fly through the orbit of the Good Egg Galaxy with memorable music in tow. 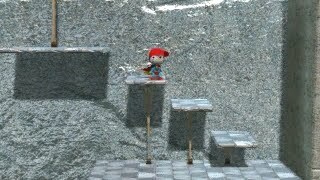 By the end of the event, you fall towards a star-shaped platform each with different point values attached to it. As you land, your points are tallied up and the player or team with the most points wins the medal. Hang-gliding all to itself is a wonderful experience I'm told. The freedom of soaring in the air, the wind wafting against your face, and the thrill of being high in the sky. How can this experience be more fun? Well, why don't you add a whole slew of monkeys and a target in the middle of the ocean? What you get is Monkey Target. The goal of Monkey Target is to glide down to a target with different point values on it, and land and stay on one of the point values. Otherwise you'll be faced with the dank, dark depths of ocean below! Later installments brought Team Monkey Target where four monkeys flew together to hopefully land and score as many points as possible. Have any mini-games that you feel should show up for round two? Let everyone know in our comments section! 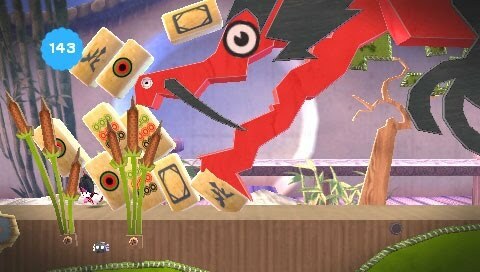 We have a second Wiiware review in line for this week. 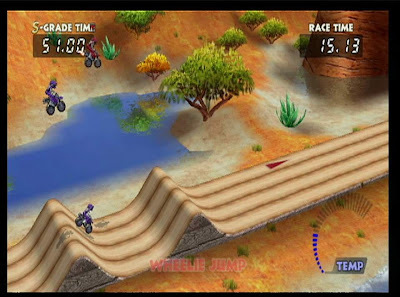 This time around we're taking a somewhat in-depth look at Excitebike: World Rally from Monster Games, who also developed Excite Truck and Excitebots: Trick Racing (tremendously fun racer). Let's get on-board and see how she handles. Get Excited Like It's 1984. Bikes. Death machines for some, a ride to freedom for others. The Excitebike series originated in 1984 where it appeared in arcades and later on the Famicom game console. Since then, there was a lengthy delay between the first Excitebike and its spiritual successors, Excite Truck and Excitebots: Trick Racing. Both of which were fantastic games on their own. But now Nintendo has decided to go back to basics with the Excitebike series-- back to its revving roots with Excitebike: World Rally for Wiiware. Is this one ride you'll want to hop up on? The riders take their marks. The solo single-player mode in the revamped Excitebike is the World Tour. This has you playing four cups with four races each. These range from Mexico, Canada, and Fiji to London, New York, and Paris. The one thing Excite Truck and Excitebots veterans will notice is that many of the backgrounds are taken directly from those two games. By achieving S ranks in the various cups, you'll be rewarded new color skins for your bike. A whole assortment of the rainbow is available by the end of the game. You get S ranks by beating a certain time on each track. However, all you need to pass a certain course is a B rank. There are other racers on the track racing with you, but they're not your opponent. Sure, they can get in your way and make you crash, but your real opponent is the clock. As stated before, achieving a given time will allow you access to the next course or cup. Each track is a linear affair as per usual with the Excitebike-style games. 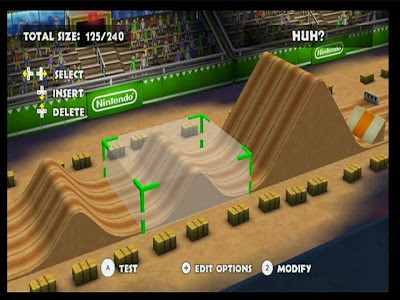 You're constantly going forward, competing laps as you leap off hills, ramps, and even other racers' heads as you dodge patches of dirt that will slow you down, stretches of grass, and concrete barriers that can either be avoided, hopped over via a wheelie, or crashed into. Your pick. 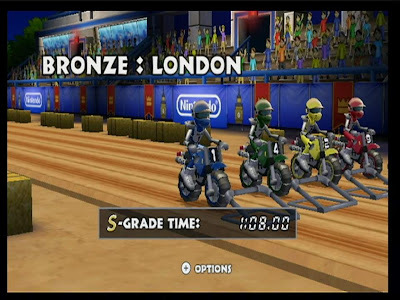 Each race last two laps, and I found that shorter races were more difficult as you have to run them to near perfection in order to obtain those coveted S ranks. This time around players are given the choice between classic and default (or motion) controls. Either way works well, but old-school gamers will most likely want to stick to classic. Regardless, with enough practice you'll be wheelie-ing off ramps to jump off them for increased distance, landing with your wheels parallel to the ground for increased speed, and moving through the four available lanes in order to dodge hazards, obstacles, and other drivers. If single-player wears you out after awhile (and it most likely will since it's only sixteen races), you can hop online and race "With Anyone" or "With Friends". Either way, you'll be racing against human opponents with no really severe lag. Opponents will appear as transparent ghosts which for some reason or another will change from ghosts to opponents that you can crash into. No rhyme, no reason. It's just there. Anyway, the "With Anyone" and "With Friends" options give you different types of points that can be earned to purchase new skins for your bike. The biggest disappointment in this, however, is that there is no local split-screen multi-player. It's seems the proverbial ball was dropped. Apparently Monster Games is following the "next-gen" HD rule where online reigns supreme and local multi-player can lie in a gutter somewhere. Additionally, there's a track creator option in World Rally. Unlike the first Excitebike, you can actually save your hours of work honing and fine-tuning each of your up-to-eight tracks. The building process is rather archaic as you must select a place to build and then cycle through a list of letters, each representing a track part. Couldn't there have been an easier way to make tracks? When you're finished, you can take your track on yourself or share them with friends. Not a bad feature, but the whole thing could be better. Build, race, and share your custom tracks. From an aesthetic standpoint, Excitebike: World Rally perfectly takes the 2-D style of the original Excitebike and puts into a suitable 3-D realm. The game is color, the models are nice to look at, and the backgrounds are quite impressive. Meanwhile, the soundtrack is mostly there with retro-sounding guitars and music. It's pleasant, it's not grating, but most of it is unmemorable. Overall, for 1000 Wii points (ten dollars) Excitebike: World Rally is a very capable racer on Wiiware. Those looking to play with nearby friends will be in for a disappointment with the lack of local multi-player, something that seemed perfect and a shoo-in for this type of game. Regardless, online will fill part of the void, and the single-player World Tour mode will last you a few sittings at the very least. For racing excitement, Excitebike: World Rally is a definite winner. It's the Tuesday before Thanksgiving, so let's have a Pokemon feast! No, we're not going to eat the tender little creatures. We're going to be playing a game chock full of them with Pokemon Rumble for Wiiware. This is our third Wiiware review ever on SPC! What a celebration we will pretend to have! Pokemon is a series where the goal is just like the series' motto: "You gotta catch 'em all". This greed mentality has run through normal Pokemon games and specialized games alike. The very first Wiiware Pokemon release was a simulator where you got to store and play with the various Pokemon you collected in the DS Pokemon games. Those who had been expecting something with more action were left disappointed and confused. 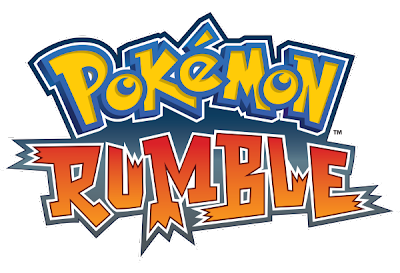 Now it's two years later, and Pokemon Rumble is here to bring the goods in the action department, but is this rumble one you'll want to pay the price of admission for? The story is a simple one in Pokemon Rumble. Apparently, every Pokemon in the region wishes to be declared as number one. In order to do this, they must complete in various battle royals where the winner advances to the next rank. The winner of this competition goes onto become the champion. No endorsement deal, no face on the cover of Rolling Stone, just the title of champion. Oh, and of course, the fun that goes along to achieving the rank. It might not be all Gloom and doom after all! The game structure is as follows. Your Pokemon begins at Rank C. Your Pokemon team cannot enter the battle royale until your party has at least one Pokemon stronger than a set level. Since you can't gain experience levels (or any type of levels for that matter), you have to befriend new Pokemon to join your team. Befriending Pokemon is a completely random process with rarer Pokemon taking a lot of patience to collect. Once befriended, that Pokemon can be switched in to do battle, replacing the previous Pokemon on the screen. There are ways to better insure the collection of a Pokemon such as hitting them with a critical strike, invoking a status ailment on them, or just by pure persistence. After you have a powerful enough Pokemon for the Battle Royale, you can enter it. Win, and move onto the next rank. Rinse and repeat until you're champion. Nothing like a bash at the beach! There are six areas to explore in each rank. No matter the rank, the level and level structure remain the same which is a bummer. It can make an already repetitive game feel even more so. The six areas house different type of Pokemon. For instance, the Silent Forest level houses grass, bug, and normal type Pokemon. Other levels include a furnace for fire Pokemon, a rocky cavern which houses rock and ground Pokemon, and a large ominous tower home to dark, ghost, and psychic Pokemon. Each level is completely linear. You just go marching through each area, destroying any Pokemon that gets in your way. There's no form of exploration whatsoever which may or may not appeal to many players. Battles take place in real-time, and at many locations you'll be facing anywhere from 1-15 wild Pokemon at a time. Each of your Pokemon can have up to two moves learned. These can range from short range to long range attacks, healing moves, confusion, paralysis, and poison moves, and stat boosting abilities. Enemies telegraph their attacks, giving you a short window of time to dodge their attacks, but when there's fifteen Pokemon aiming for you, it gets a bit tricky. At the end of each area (areas last five rooms each essentially), you take on a giant version of a Pokemon along with a bunch of smaller chronies in a circular room. Not only does this behemoth Pokemon take more damage, but it also causes more damage, too, and has a larger reach in attacks. After the battle is won, the boss drops a plethora of Rumble Points, the currency of Pokemon Rumble. If you're lucky, you might even be able to befriend boss after battle. With your points you can use them in a pair of ways. You can use them to purchase new Pokemon at random and buy new moves at random for said Pokemon. You can also release up to five Pokemon in a row to perhaps earn a new Pokemon in the process. You can also gain new friends by inputting an eight digit code for new, rare Pokemon-- ones that would otherwise be unavailable to you. You can also choose to play with up to four friends together in the multi-player mode. Very cool indeed. Perhaps online would have been nice to see, but local multi-player is better than online any day. Though a choice would be even better. Pokemon Rumble controls as fine as any other dungeon hack-n-slash game. You hold the Wii remote horizontally as if you were playing Excite Truck or Super Paper Mario. The d-pad moves your Pokemon, and the A button is used to move Pokemon in and out of battle. When you pause to select a new Pokemon, the actual game world around you still goes on, so if there's Pokemon around you, perhaps it's not the best to exchange Pokemon now. Meanwhile, the 1 and 2 buttons unleash your Pokemon's individual special abilities. Alternatively, you can choose to play with a Gamecube controller if the above set-up doesn't appeal to you. After each area your new befriended Pokemon are shown. Pokemon Rumble is a fun if not mindless dungeon crawler. As you play through the game, there's three different difficulties total each with Pokemon from different generations. There's over 200 individual Pokemon to collect in all, multiple capture attempts, and plenty to complete and accomplish. If collecting Pokemon doesn't seem like your thing, Pokemon Rumble definitely isn't for you. 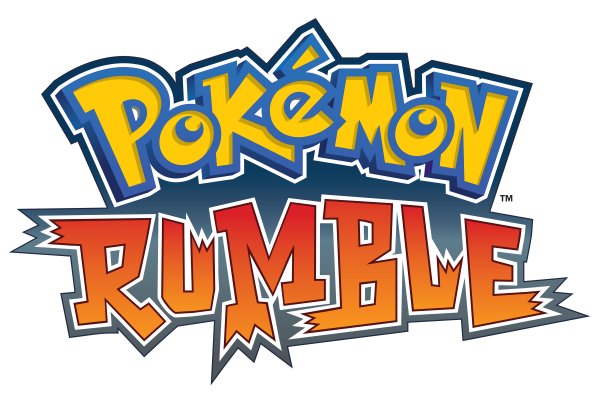 For all the millions of Pokemon fanatics out there, however, Pokemon Rumble just might be a rumble worth joining. 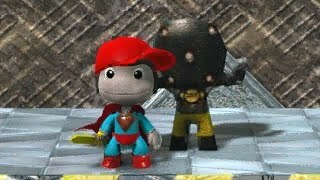 It seems to be a project that's ongoing here on SuperPhillip Central, and it's from LittleBigPlanet, SPC's Game of the Year 2008. The fact that I keep coming back to it ought to say something about its quality. Regardless, level 1-3 of SuperPhillip: The Game is nearing completion. Take a gander at these first, exclusive screens of the level! This time, SuperPhillip is tracking down on the Fearsome Five. His journey leads him to the Central City Power Plant where the mad shocker, Electrohound, holes himself up inside. Can SuperPhillip defeat Electrohound and continue his pursuit of Dr. Christian? Only if he can dodge an electrifying fate! Stay tuned for a preview of 1-3 Power Plant coming soon to SPC. It's Monday which means that it's time to unleash five more excellent tracks for your listening pleasure. Up on deck this week: Gran Turismo 4, Muramasa: The Demon Blade, and Chrono Cross, for starters. Listen and enjoy. Dai Kasho. Is that name familiar to you? Well, perhaps if you're an F-Zero GX fan it would. He's the composer behind all of the themes for the pilots. In Gran Turismo 4, he inked some of the original songs on what is otherwise a licensed music soundtrack. It's Good Days, Bad Days from Gran Turismo 4. Yoshi's Island DS was a a fantastic, tough-as-nails platformer for the DS. It wasn't as good as the original, but it was very much competent. Wildlands is essentially the only worthwhile theme on the YI:DS soundtrack unfortunately. This is the Super Smash Bros. Brawl remix. Eloquently done. Ah... Unknown Track Name... a title fitting for this pumping, majestic Japanese track. Not. As there's no official soundtrack for the Wii's Muramasa: The Demon Blade, we're left with no names to these fantastic pieces of music. Enjoy my favorite of the bunch here and now. I have only played through Wild Arms once from beginning to completion, and that was many moons ago. I certainly should go back to it one day, item duplication glitch and all. The theme you hear here is played during the ending credits. The day has been saved, the world breathes a sigh of relief, and our heroes part ways. How bittersweet. I really like the female vocals on this track. It's no doubt my favorite part of this theme. Chrono Cross was a game I'd tried to play through multiple times but just couldn't find the will to press forth. Nonetheless, that didn't stop me from enjoying the excellent soundtrack. Next week we'll have songs from Mario, Sonic, Donkey Kong, two blobs, and The Conduit. Hope you'll look forward to those! 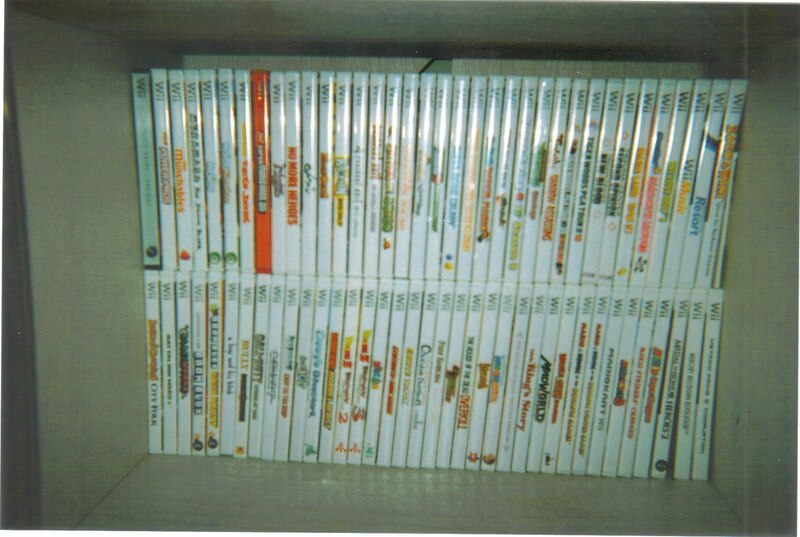 I was going through listing and reviewing my DS and Wii collections, and I wanted to show them off in all their splendor. 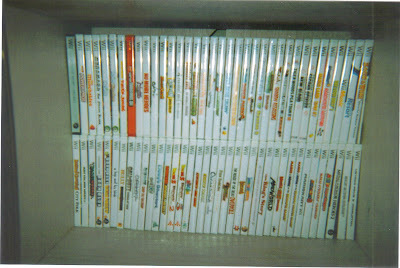 Since I don't have any DS pics, I wanted to show off my Wii, 360, and PS3 collections this Sunday afternoon. 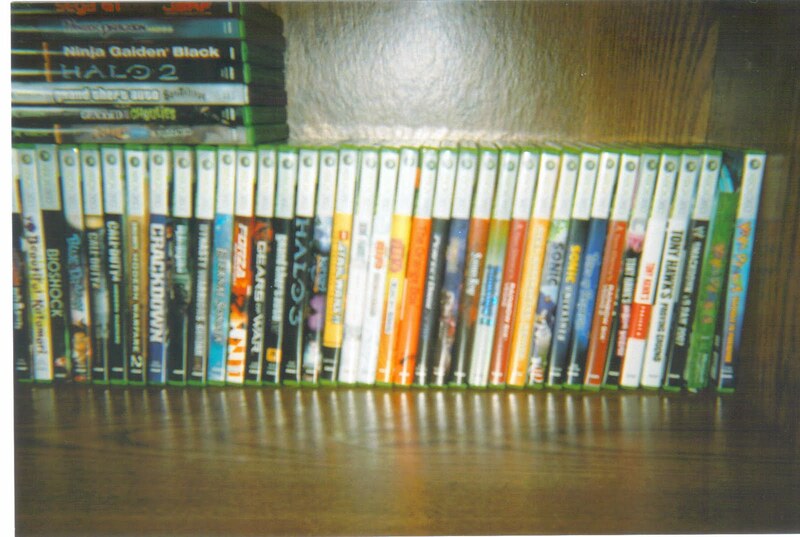 Most of the collections have all games I own in them. The Playstation 3 one doesn't. It's missing Batman: Arkham Asylum and Uncharted 2: Among Thieves. Click on a pic to enlarge it to see the titles more clearly (when possible).